That’s right, Bruce Campbell, arguably the greatest B-Movie star, is set to reprise his role as Ash Williams and fend off the evil deadites in a battle for earth in a TV series. The Evil Dead first graced our screens in 1981 and went on to spawn two sequels, all of which have become cult favourites. 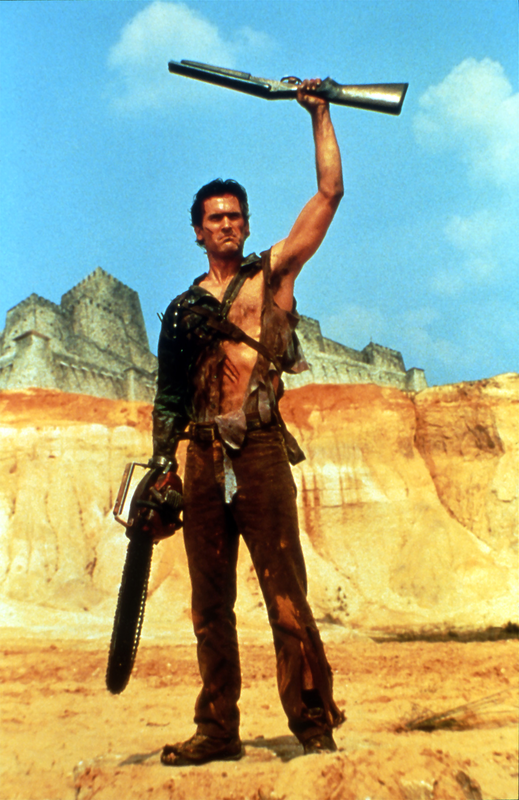 What it was about the films that enticed audiences in was not only the gruesome special effects and that infamous tree scene, but also the main protagonist; the chainsaw-weilding, boom-stick using king of one-liners Ash. Thankfully the 10 part series is going to feature Bruce Campbell as the lead role, any other choice probably would have come under fire from fans, and it will show Ash at his boring day-to-day job, telling customers to shop smart at S-Mart. After ignoring his heroic abilities for a while, he decides that it is time he takes on the forces of the necronomicon once again as they threaten to take over the world. The series is set for a 2015 release and appears to be in good hands as Evil Dead director Sam Raimi is helming the first episode of the series. We’ll start off with the bad news and end on a high note with these news pieces. Anyone who saw the 2010 alien invasion film Skyline will probably have many criticisms of their own to share in a discussion about the movie. I for one actually enjoyed most of the film, although the first half was definitely more enjoyable before we saw the aliens, I didn’t think the second half was a total loss. That was until the ending, that just did it for me, that end scene in itself just destroyed the entire rest of the film. Unless the film makers were on to the idea of a sequel already and thought that the end scene of the main male protagonist being an alien himself would lead on to it, then there doesn’t really need to be that scene included in the film. It just seemed to ruin what wasn’t, to me, an entirely horrible sci-fi film. 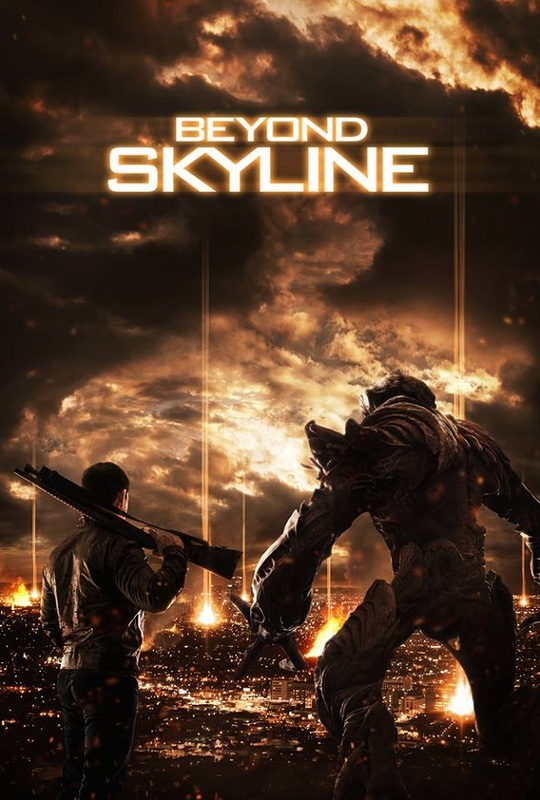 Well now a second Skyline film is in the works, titled Beyond Skyline, and is to be directed by Liam O’Donnell (who wrote and produced the first film). All we have been given at the moment is a poster that appears to change the colour scheme from blue to orange, and the hint that humans and aliens (or at least some of them) are going to be working together. That’s right, there is another film based on one of the most famous monsters in literature and movies, the prince of darkness himself…Dracula. There have been many adaptations of Bram Stoker’s world-famous novel, from Christopher Lee’s portrayal in Hammer Horror’s 1958 version, to Gary Oldman’s take in 1992. However this new creation by Gary Shore is looking to take a different approach to the story, by telling the tale of how the beast was created. The talented Luke Evans (The Raven/The Hobbit/The Great Train Robbery) takes the role of Dracula with Dominic Cooper supporting, and just from the trailer it appears that an entire new story for the monster’s history is going to be created which weaves in the Vlad the Impaler influence, and that is not a bad thing. Whilst the book was incredible, what was really missing from it was a back-story for the creature himself; and Dracula: Untold looks like it is going to give that story. What it really was, other than it being a film about Dracula and starring Luke Evans, that drew me in is that the story seems to show him when he was a good man, and all he wanted to do was protect the ones he loved. However to gain the powers to protect them, he must sacrifice his own soul. Most horror fans will, at least by now, know the story of the evil Annabelle doll that paranormal investigators Ed and Lorraine Warren had to take care of in 1970. Well ever since her appearance in The Conjuring it was said that a spin-off film called ‘Annabelle’ was in the works; and now we have a trailer. Although only a teaser and 2:18 long, it brings back all the creepy vibes which James Wan created in The Conjuring, and although there is a Conjuring sequel in the pipe-line, The Conjuring 2: The Enfield Poltergeist, Annabelle should definitely hold fans over until it is released. The trailer appears to show the doll up to its old tricks with an unsuspecting couple who purchase her, and then learn the hard way the darkness that this doll holds. Annabelle is looking to be one of the best horror releases in 2014. Most horror fans will know of the 1978 controversial film ‘I Spit On Your Grave’, and the 2010 remake which wasn’t a total disaster. You may have even seen the tedious sequel to the remake which was basically the first film all over again. Well to all those fans who are still, for some reason, eager for more, plans have been put in place for a ‘I Spit On Your Grave 3’ film. Don’t get me wrong I’m all for women empowerment and I loved the original and the remake – to an extent. But nothing new is being brought to the table, it is the exact same story being repeated again. When viewing the sequel, yes it was shocking, but all the way through you knew what was coming because it had just happened in the remake. Perhaps the film makers will make the story different from the first two, because they really need to be more focused on entertaining their audience rather than just shocking them. It is not yet known whether Steven R. Monroe – director of the first two – is returning to helm the third film. 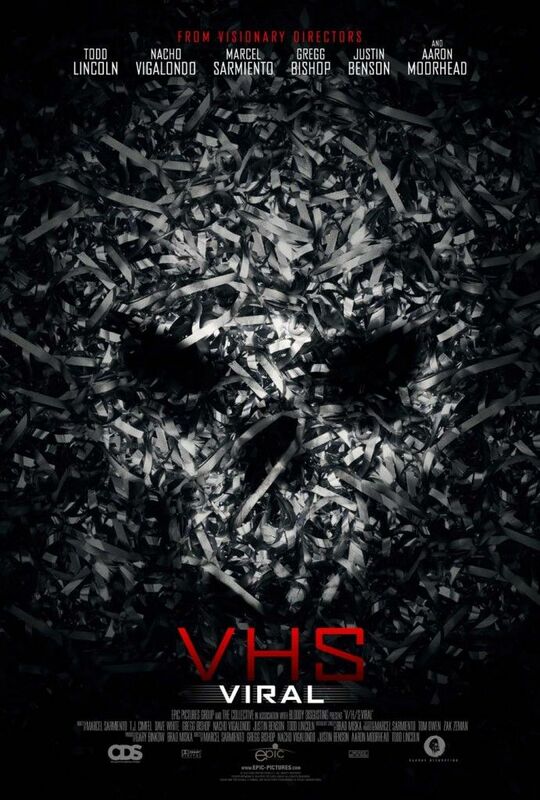 In my opinion the best found-footage franchise is definitely the REC films, but following not far behind is the V/H/S franchise. There is just something about the V/H/S films that really made me enjoy them, perhaps it is because I have a soft spot for hand-held cameras. But what really captures my enjoyment are the separate stories portrayed, it means you get to enjoy maybe four or five films in 2 hours. What V/H/S did wrong V/H/S 2 improved upon greatly, and left you eager for another. Thankfully the time has come for the next instalment with V/H/S Viral. A whole host of directors are on board to deliver this third helping of anthology terror, and as the title suggests, this time it goes viral. At the moment what we know is that, as the title suggests, it will centre more around videos on the internet rather than actual VHS tapes; perhaps to appeal to today’s audience more. From the trailer V/H/S Viral does not look set to disappoint, and will hopefully sit nicely as the best in the franchise. The anthology genre is not dead. Without a doubt the Spanish REC franchise is one of the best that has been in the horror genre in recent years; and it seems ages since the slightly less enjoyable third installment, REC 3: Genesis, came out. So for those of you, like me, waiting on the news front for something on part 4, prepare to get excited because the official trailer for REC 4: Apocalypse has now been released. Juame Balaguero (REC/REC 2) is back in the director’s chair again to helm the film, and the story line – to the joy of most fans – is going to stick more to what we saw in the first two films. The plot is set after the second, once again Manuela Velasco is reprising her role as the TV reporter Angela as she has just been evacuated out of the building where the first two films took place. From the trailer all we can really tell at the moment is that it is primarily based on a ship, and just when they thought the virus was contained, all hell breaks loose once again. I for one am extremely excited for part 4, as the REC series ticks all of the boxes on my horror film list: hand-held camera, great effects, big scares and zombies (sort of). Hopefully with Balaguero back behind the lens REC 4: Apocalypse should be a great addition to the franchise. REC 4: Apocalypse is set for cinema release on 31st October 2014 in Spain; the release date for the UK is not yet known. 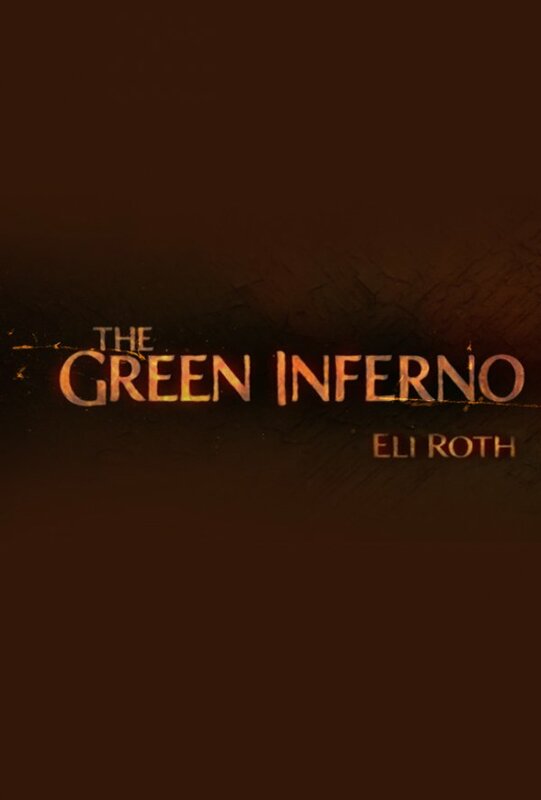 Finally we have a short trailer for Eli Roth’s upcoming cannibal horror film ‘The Green Inferno’. Eli Roth’s horror career has definitely has its ups and downs, with his magnificent ‘Hostel’ franchise and the poor ‘The Last Exorcism’ film. Now it seems about time for Mr. Roth to deliver another enjoyable splatter-fest; and that will hopefully be in the form of his upcoming cannibal film. Due to the anticipation that this movie is gaining, the release of a trailer should get fans even more excited. However I found that the recently released 1:13 long trailer failed to dazzle; although the scene that we were looking at seemed like a good one, that was all that was shown in the trailer. Just one scene, where we couldn’t actually view what was happening. The plot entails a group who crash-land and are kidnapped by the very tribes they were trying to protect; I just wish it would have shown some form of that story in the trailer because it sounds so good. Saying that, it didn’t make me think any different about the film, so at least nothing was ruined. Stepping away from the bad, what I did enjoy was one part of the trailer, when a fact shows up on the screen about the tribes people in the film. Apparently they are an actual native tribe from Peru, who have never been filmed before. Luckily that little bit of info was at the of the trailer, so it concluded on a high note. Another day, another silver-screen classic gets a remake. 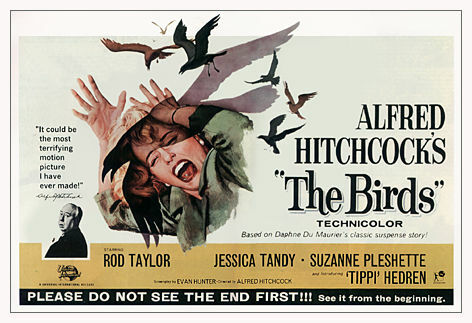 Alfred Hitchcock’s 1963 film The Birds is such an iconic movie for thriller and general film lovers alike. What an enjoyment it was to watch Tippi Hedren, Rod Taylor and the people of Bodega Bay suddenly be attacked by flocks of birds. But it wasn’t just these attack scenes that made the film sensational, it Hitchcock’s classic touch of suspense and realism in the scenes that kept you gripped and watching the story – which was an adaptation of a Daphne Du Maurier novel. As you have probably guessed by now, this incredible film is receiving the remake treatment; and it is not just in talks, the production is in full swing with Platinum Dunes. Naomi Watts has been said to be taking the lead role with Dutch director Dierderik Van Rooijin at the helm, and Transformers director Michael Bay is in the role of producer. Although I do think Naomi Watts could bring a great portrayal to the role of Melanie Daniels, it is hard to imagine how Van Rooijen and Bay expect to create the same edge-of-your-seat feeling that the original delivered – Bay probably hasn’t been told yet that the plot includes no explosions, car crashes, drug busts or shoot-outs. If the remake of Hitchcock’s Psycho in 1998 is anything to go by, then the soon to be remake of The Birds will surely fail to dazzle. I remember when I first watched The Grudge, what I remember the most was the feeling it gave me that forced me to hide underneath my bed covers for about two weeks afterwards. The 2004 supernatural horror film which starred Sarah Michelle Gellar and was the American version of the ‘Ju-On: The Grudge’ Japanese horror franchise – both directed by Takashi Shimizu – never let up, and kept you guessing at where the next horrifying ghostly face would appear next. The plot was based around the murder of a family, who, after their death, held a terrible grudge that brought terror and death upon anyone who came into contact with the murder scene. Although it may have had more of an effect on me when I was younger, the film still stands strong in the horror genre today as it did on its release. The Japanese version of the franchise is still on the go, however the American one stopped in 2009 with the third instalment which failed to dazzle audiences in the same way that the first and second did. So what is the answer to this? A reboot of course. I for one feel it is too early for an American remake of The Grudge, with the first only being released in 2004. But Hollywood seem persistent on remaking horror franchises and have thrown some big names behind the project. As well the amazing Sam Raimi being attached and his Ghost House Pictures company, Jeff Bhuler – The Midnight Meat Train writer – is set on for writing the script for the film. There is no word on whether Takashi Shimizu is set to return to his franchise or what the actual story line is going to be. Our hope lay in the hands of the already busy scheduled Sam Raimi, among others.